We are less than two weeks away from Easter and I’m just now starting to get my act together. I’ve picked up a few things here and there to fill my kids’ Easter baskets with, but I’ve yet to do a craft with them. We did however get a chance to have a glow in the dark egg hunt over the weekend, which was a ton of fun! I thought of this idea when I was in my attic searching for all of my Easter decorations. I was wondering what else I could do with all of the plastic eggs leading up to the holiday. My two oldest kids are two and four years old, so I knew not only would they enjoy this kind of egg hunt, it might actually be an easier way for them to find the eggs. 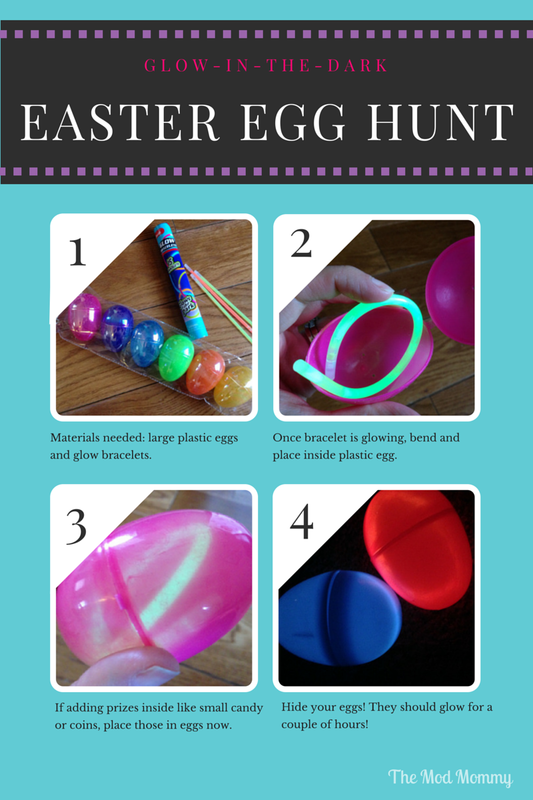 You can do this glow-in-the-dark Easter egg hunt either indoors or outdoors. Tip: the eggs really do glow brightly, so you might have to get creative when it comes to hiding them! Glow bracelets- I found mine for $1 at Target in the One Spot. I’ve also seen them at the local Dollar Store. Follow the directions on the glow bracelets package and get them all glowing and ready to go. Next, twist your bracelet around in a loop so it fits snugly in the egg. If you plan on adding prizes or coins, place those in next. Close the egg up and do the same to the remaining eggs. Once all eggs are completed they should glow for a couple of hours. But, I would hide them as soon as you’re finished so they are at their brightest. 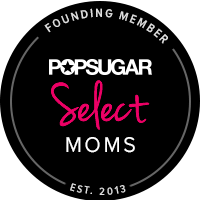 This kind of egg hunt can bring excitement to Easter and it also allow your kids to get more use out of that Easter basket! Add to the excitement by having the kids search for eggs with flashlights. This will quickly become a fun, family tradition. It’d also make for a great activity for a party. What do you like to fill your Easter eggs with?